"Hawaii - Kailua-Kona Twilight" by Paul McGehee. 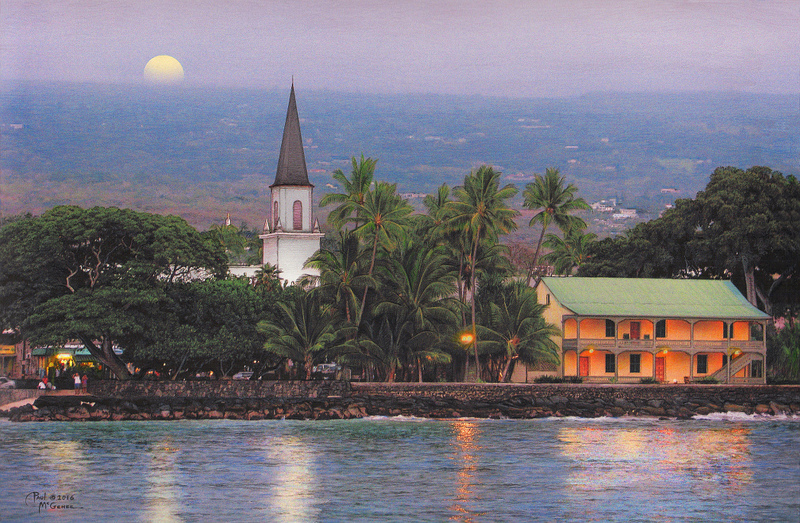 An early evening view of the Big Island's historic Mokuaikaua Church and Huliheʻe Palace on the waterfront at Kailua-Kona. Mokuaikaua Church is the first Christian church in the Hawaiian islands, dating back to 1820. It was founded by Asa and Lucy Goodale Thurston, of the first group of Christian missionaries to arrive from Boston. During the long, 164 day voyage aboard the brig "Thaddeus" an event of monumental proportions occurred in the Hawaiian islands...their longtime ruler, King Kamehameha had died and his son was now ruler. The old Hawaiian Kapu system of religion had been abolished, and missionaries from the New World arrived to convert the islanders, with the blessing of their new King. The people of the waterfront village of Kailua had erected a church building and were eager to convert and a Christian congregation was assembled. The small wooden church was built directly across the road from the spot which was later to become the Hawaiian royal family's vacation retreat, the Huliheʻe Palace, originally built in 1838 as the residence of the island's Governor. Both structures still exist today, the church still has an active congregation, and the Palace is now a museum. In terms of Hawaiian heritage, this is a truly important and historic setting. 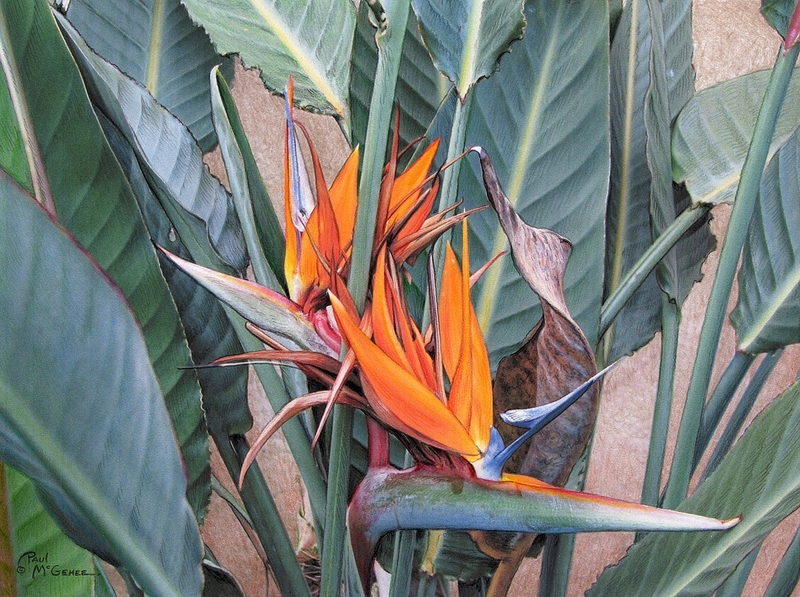 Faithfully reproduced from Paul's original color pencil drawing as an archival quality print issued in a strictly limited edition of only 500 pieces each hand-signed by the artist. 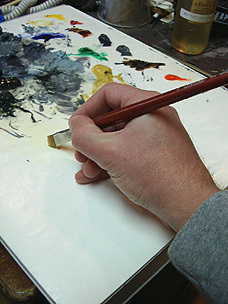 Print image size 11" x 16 3/4".